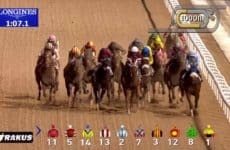 Keeping up with Horse Racing. This week wrapped up the 2015 Fasig-Tipton Kentucky Winter Mixed Sale. Ian Tapp recaps the highlights from this years sale. Hear thoughts from Boyd Browning and Elliott Walden says to whom Rose to Gold, day 2’s sale topper, will be bred.